TRAVELLING IS NOT AS CHEAP AS EVERYONE THINKS…BUT IT CAN BE! One of the toughest parts about creating a travel budget is planning a food budget for your travelling experience. Whether you stay in a hotel, resort, or you hop in your vehicle for a road trip daily expenses of food must be accounted for or even estimated to keep a tight budget from exploding. Here are ways we’ve learned to save money on food while travelling that we want to share with you so you don’t make the same mistakes we made along the way. Not everyone uses a travel budget when going on vacation which means the grocery budget or entertainment category may be the next two logical places to carve a bit of money from. The reasoning behind using the grocery budget is because if you’re not home to buy groceries you spend that money on travel food. Makes sense to me if it’s a simple road trip but a destination holiday may prove a bit more costlier. Most travellers are so focused on planning the trip that they put food on the back-burner because it doesn’t seem like such a big deal. You can always eat out, right? There has to be food somewhere? You’re on vacation…just eat and spend money because you earned it. If you’ve planned the money to splash then use it up but if not I’d caution using this money mentality on vacation. 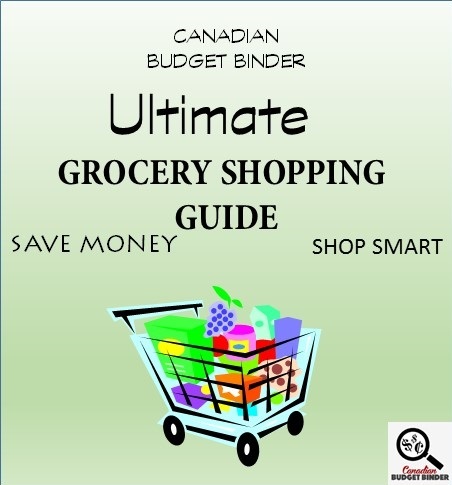 Unless you’ve got unlimited funds or your employer is covering your food expenses you WILL want to create some sort of plan so your daily expenses on food fit how much money you have to spend. The last thing you will want to do is bring out your credit card to start charging for dining out because you’ve run out of cash. I’ve travelled to many countries around the world and although I only ate once or twice a day in my twenties it was still important for me to eat well while saving as much money as I could. I wasn’t going to starve myself because I was being cheap on holiday as I wanted to eat what the locals ate too. It’s about being realistic about what you can afford. Do you know the people who go on vacation who act like they are rich when they have piles of debt at home? Those are the people who spend money and deal with the consequences later. Big mistake. Your first mistake is travelling with high amounts of consumer debt and the second not planning your daily expenses on what could be your highest costs apart from the hotel and airfare. FOOD! Before I would board any plane to go on vacation to another country or jump in the car for a road trip I would always do 3 things to jump-start the trip. Don’t get me wrong I’m not a crazy frugal traveller either, I just don’t want to deal with any financial aftermath if I don’t need to. This is what I do and you should to! Research Where the food shops, food trucks, food stands and popular food hot-spots were located. I didn’t always come away spending less money as most of my investigation came from searching online but I did learn various ways to cut expenses on food costs while travelling through trial and error. You’ll always set one bad example of reckless daily food expenses while travelling but hopefully you’ll learn what not to do the next time you travel. Probably one of the ways travellers blow money on food is the somewhat convenient and simple road trip. 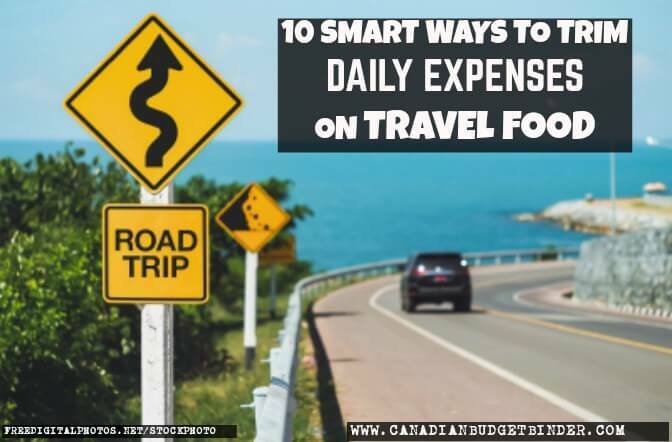 Whether you stop at a pit stop on the highway or pull into a city and hit up a local restaurant or fast food joint these expenses can bust your budget. Something we started doing when we would go on a road trip is pack a cooler full of food, snacks and cold beverages. Once we had our son even more so did we pack food because we did for him too. If the weather is nice we tend to stop off somewhere and enjoy a picnic on a blanket like we did this past summer in Tobermory, Ontario. If we’re checking in at a hotel or just enjoying a daily road trip food is less of a priority to beverages but we always have snacks. You’ll spend a fortune on coffee, water, juice and pop if you plan to buy it while travelling. Fill your cooler with lots of snacks and drinks so you can save money to spend on other things. Going to McDonald’s to get 2 Big Macs, 2 medium fries, 2 large coffees and a kid’s meal will cost you a staggering $18 (with a Buy 1 get 1 free coupon too…ouch) which is outrageous for fast food. Whoever tells you fast food restaurant eating is cheap is lying to you unless you stick to the value menu but even then you’re still hungry. You could take that $18 and turn it into delicious healthy food that you can make a meal from and pack in your vehicle. On a road trip most rest stops have tables you can enjoy something to eat that you’ve made at home or in your hotel before moving forward on a long road-trip. Even a road trip to local Ontario tourist spots like Wonderland, Marine Land, Thousand Islands, Niagara Falls, Grand Bend, Provincial and National Parks and so on will cost you to eat out. Pack food and drinks and save your cash to enjoy the high costs of travelling to these tourist locations. Not everyone wants to cook while on holiday but if you have the opportunity to do so, balance how many times you eat out and make food to save money. Many hotels and motels give you access to a mini refrigerator, kitchenette and a barbeque so you can prepare light meals in your room or outdoors. A motel we stayed at in the summer in Tobermory had a kitchen including a microwave and outdoor barbeque that we could use to prepare and cook food if we wanted to instead of going to a restaurant. We would use the room refrigerator to store our food or keep it in a cooler packed with ice. When the wife and I were spending a few days touring London England as she’s never been we decided to eat at the hotel one evening. Big mistake. We let our exhaustion from the full day of walking and tube travelling take over our stomachs and decided to eat in at the hotel. Never again. I wouldn’t let my wife see the bill but she knew it was pretty high, and it was. If we were smart we would have grabbed fish n chips or a decent meal at a local shop and brought it along with us. Typically I would always pack a lunch and bring drinks in a back pack but this particular road trip wasn’t planned so well. I wanted to show my wife as much of England as I could when she would visit including the places I’ve lived. Things change when you move away from certain areas so it’s still important to do your research. Bad on me. Whether you’re travelling and board a boat, airplane, train or other means of transportation that will get you from point A to point B out of the town and country food expenses can get costly. Typically when you are on a boat food expenses are covered in the price of the ticket as you’d expect from a cruise. This is great because you don’t have to worry about spending extra money on food because it’s already supplied to you. Keep in mind though that snacks may not be so pack some away if you don’t want to pay outrageous costs in a cruise shop. When destination travelling you may have the food included in an all-inclusive resort but for those of you who don’t care for resorts like me planning food expenses takes a bit more work. If I was staying in a self catering apartment I made sure that there was a fully equipped kitchen that I could cook in which meant I did a bit of online research to see if there were any markets close by or vendors on the street where I could buy fresh foods. Many times I would cook during the week while I was on holiday and it saved me a bundle of money. I also ate out at restaurants and would snack on street food but I never went over-board. I also learned to be picky about the foods I chose to eat. The worst thing you could do is buy food you aren’t familiar with and waste your money. If you don’t speak the local language don’t buy food if you have no idea what you’re eating. If you do, prepare that you may hate it, it may not agree with you and you waste money. For some this is part of the travelling thrill so budget that thrill money if you want to eat on a whim. My suggestions would be to search online for popular foods that a country was famous for and whether pricing was reasonable to stock up on while I was visiting. Some of the best restaurants that I ate in were the cheapest but with the best food. I could hardly finish my meals in Thailand because they were filling, cheap and they gave you lots to eat. Most of the street vendors were more than excited to have foreigners buy and eat their food. Keep in mind that you can always barter with many street vendors because they want your business so understanding how to barter in any country I visited was important to me. Daily expenses for food included looking for snacks that were budget-friendly in the shops to eat at night rather than always buying actual meals. When staying in a resort you may not have the luxury of snacks unless you go to a local resort store but you’ll pay the price for those snacks. I’d recommend bringing snacks from home to off-set any of the costs that aren’t needed. You might be shocked to find that there are coupons for restaurants if you reserve seats ahead of time or print them online before you take off on holiday. My wife explained to me on a past trip to Disney World eating at the resort would cost a fortune. It was recommended to pack beverages and snacks every day. If you are staying off the Disney resort in a condo with a kitchen or renting a house or using a timeshare you can cook but you can also visit restaurants in the local area and use coupons to cut costs. You pay for convenience no matter where you travel but if you don’t mind a bit of work you can save yourself some money even if it’s simply by hitting, print or opening a savings app on your smartphone. I know when we plan to take our son to Disney I’ll be doing extensive research to keep food costs low while enjoying every minute of seeing our son smile. Buying snacks costs BIG BUCKS! Unless you’re buying an unusual snack that you’ve never had before and if you don’t try it there and then you may never again, avoid buying snacks. I loved eating foods that the locals made but I would only get what was new to me and something I’d probably never make at home. If you’re boarding a plane don’t buy snacks on the plane if they aren’t included apart from your complimentary pretzels because they are pricey. A small chocolate bar could run you upwards of $2 each when you’re in the air and $0.50 at the Dollar store on the ground. Always stock a few treats for air-travel and cut food expenses along the way. Some flights actually give you the option of having an in-flight meal or not. Opting out of having the meal can actually save you more than you think. For some people when they go on vacation their bowels don’t agree with them in the new environment and changes to routine so cutting back on how much you eat may also save you money and time on the toilet. I remember I was sick for days with some sort of virus in Thailand that I couldn’t eat but I wanted to and when I did it would just come up. I wasted more money trying to get food in me but that all ended in the bin. Eating less and drinking lots of water and eating greens will help move things along. Wherever I travelled I would eat the most food I could depending on price. If lunch was the cheapest meal of the day I’d eat something small for breakfast and dinner. Come lunch time I’d be sure to fill up. This way you stay full for longer especially if you load up on proteins and fats but limit carbohydrates. Making sure I was always hydrated also helped me from wanting to eat when all my body wanted was water to hydrate. Choose Hotels or Apartments with cooking facilities so you can buy groceries and eat a meal in the room to lower your daily expenses on food. This is something I was passionate about because it gave me the opportunity to explore different foods at the grocery store and make them myself. If heading out on a road trip always scope out the city you are visiting by going online to see if there are any coupon books you can buy to help cut your daily expenses while visiting the city or town. Many times you might get lucky and find 2 for 1 dinning out coupons or discounts on shopping. This includes travelling over the border to the USA. Depending on where you are travelling research restaurants online as most now have websites displaying the full menu with prices. You can pick what you might want to eat and know how much it will cost before you even step food in the establishment. Always bring snacks to the airport or anywhere you are travelling as you will get gauged at the cash register if you don’t. Expect to pay double or even triple what you would in the city if you don’t. Talk to the locals when you arrive and ask them where they like to eat local food and what they recommend. I did this many times and found the best joints with frugal menus were hidden off the main tourist streets. When the wife and I travelled to Niagara a short drive out of the main district 10 minutes found us cheaper food than what we would have paid if we stayed close to the hotel. If you are unable to bring snacks with you find out what your destination is popular for because usually that means the food is in abundance and cheaper to eat. I would buy tonnes of cheap bananas in India because they grow everywhere. The bananas kept me fuelled on the many road trips we went on throughout the day until the next meal. Food trucks and street vendors will almost always have cheaper food than what you’d pay for in a restaurant plus you don’t have to leave a tip. Whether you are in Canada, USA or overseas ask a local where the best outdoor food is located and what they suggest to eat. Fill up on good eats for less so you can save your money for your pricier meal of the day. Bulk shopping at the grocery store will likely be inexpensive so if you’re hotel or apartment has a kitchen think “Big” when shopping for food. Don’t buy more than you will eat as you may not be able to travel home with extra food if it’s not allowed by customs. If you’re crossing the border to do some shopping or go grocery shopping unless you plan to eat out I’d suggest eating before you go. The reason is that if you don’t plan to eat out if you get stuck in bridge traffic it may be hours before you get to eat. You may also find that if you are hungry you get suckered into restaurants by the smell of food or cheap buffet prices. Again, if you plan it go for it but if you can’t afford to eat out just get what you need and get home with snacks and bevvies in tow. Overall, travelling should be fun but it shouldn’t break you financially. If you include travel food in your grocery budget it becomes more critical to invest time into knowing where your money will go before you leave. With proper planning you will eat good local food, cut costs and enjoy your trip no matter what mode of transportation you chose to take. What other ways can you save on daily expenses for food when travelling? We stocked up on bacon, eggs and cheese for the wife while they were cheap this week. We also picked up a few vegetable for salads. We still have veg in the refrigerator as well as fruit in the freezer that our little guy is eating up with his yogurt. My Offers is currently available at the following stores in Ontario: Sobeys, Sobeys Urban Fresh and Foodland; in Western Canada: Safeway, Sobeys and IGA; in Atlantic Canada: Sobeys, Foodland and participating Co-op stores. We got the email as well now. I haven’t had a chance to read it but hopefully I can later this weekend. great week for stocking up in some great deals!!!!!! My gf in SK found the pringles coupons and sent them to me 🙂 We send envies to each other on a regular basis of coupons that we find or need. GMO is short for get my offers that you load your offers at sobeys directly onto your air miles card. They offer bonus air miles on asstd products and have started offering 50% off products you buy on a regular basis. I am really liking it as it really great savings. The chocolate was too good to pass up!! The bacon coupons are now being found on packages of frozen prime stuffed chicken and maple leaf ready crisp bacon. 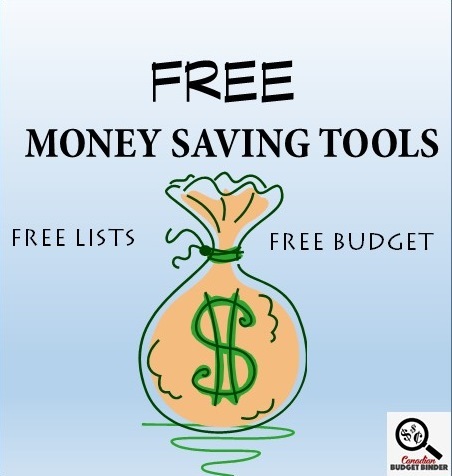 It is a booklet of over $15 in savings that also has a free itemwub3 products coupon! The rep for the company dropped off some extra coupons for us at work to put on packages (especially because people just peel them off) and for us in the dept to get some deals and try some of the products for free using the wub3 coupon. Lol I thought we already owned a nut crackers……but apparently not! Looks like we gotta buy one. But it will be worth it. I love Newman’s Own Sockarooni pasta sauce, it is one of my favorites! It has everything in it. My second favorite is PC tomato, spinach and cheese. So if either of these is on sale I stock up, but neither one has been lately….. I have always had a loosey goosey meal plan pinned to my fridge based on what is in the pantry and freezer, but I have become more deliberate in planning vegetarian meals since I joined this challenge. Meat meals are easier to thrown together at the last minute (and pricier) . By deliberately planning easy meatless meals I get more variety and keep the grocery prices lower. I got caught up in what I thought was an extra $ redemption promo at Shoppers over the weekend and didn’t find out till I’d already paid for everything that it was only for beauty products. It was a mistake not to return the whole lot then and there but I’d already invested a lot of time and effort into finding things I could use so decided to make the best of it. I returned some things another day so at least I didn’t have to pay anything out of pocket. I’m telling everyone this because although it was my fault for not seeing that it was a beauty event, I noticed when I looked at the flyer again that it was not as clear as it has been in the past. It only said it was a beauty event in smaller letters in a bubble off to the side. You probably all noticed it but just in case I thought I’d warn you all so you don’t make the same mistake. That being said, I’ve noticed since Shoppers was bought out by Loblaws it is getting more and more difficult to redeem points since they seem to not have as many good values as in the past. I don’t buy much in the way of personal care items or electronics so it is quite difficult to find anything to redeem points for anymore. Looking at what I bought there are a lot of things that I don’t strictly need, like pop, chips, and ice cream. I will use the coffee because it is good until late next year but most of the things will not help me reach my financial goals and aren’t very good for me either. Looking back I got caught in greed and trying to get as much as I could for free. Not quite the binge shopping you mentioned earlier because I planned it but similar in the addictive high I get from it. Anyone got any ideas how to deal with it better? Another thing I wanted to mention is that Astro Zero yogurt 12 packs have five $1.00 coupons inside the packaging. My daughter gave me the ones from her packages so I was able to get two more 12 packs for $2.00 apiece and get 10 more coupons. The coupons are good until June. I also noticed that some Nexxus hair care products at Shoppers Drug had $5.00 detachable coupons on them. Milk went up $1.00 this week! 25% seems a little outrageous. Also, Snap is discontinuing and moving to Groupon. I don’t use Groupon so will lose the $5.50 I have accumulated. Does anyone else get driven to spend a certain amount to achieve points? This week, PC Plus had points bonus for spending over $175 amounting to 10% points value. With that, I will likely redeem 50,000 points next weekend to reduce my out of pocket by $50. Two big shops in a row, replenishing some of the condiments that we had run out of. Also, getting side dishes and extra meat. The next week will be much lower! This week I added two new elements to my analysis. One, to separately track the reduced grocery to see how much I save buying from the racks. I have shopped them quite a bit, just never added it up, left it lumped into instant savings. Two, I practiced a tip I read some while ago, taking things out of the cart at the end. Sometimes, (such as finding the 1kg ham for $1.00 after visiting the deli meat section) means that I have too much of something. I am tracking the savings I accumulate by buying the No Name or store brands as opposed to name brands. In a round-table discussion at family dinner, everyone agrees that many things (like ketchup) don’t need to be a brand, but others (like coffee) are very different. This week I saved 35% off the total of products I brought home. Thank you! The crickets are a weekly purchase for 2 bearded dragons. They also get one package of Spring Mix per week, and there is a blue tongued skink also that requires half can of organic specialty cat food with his greens. So many critters here, it’s a large chunk of my weekly budget. But it is what it is. 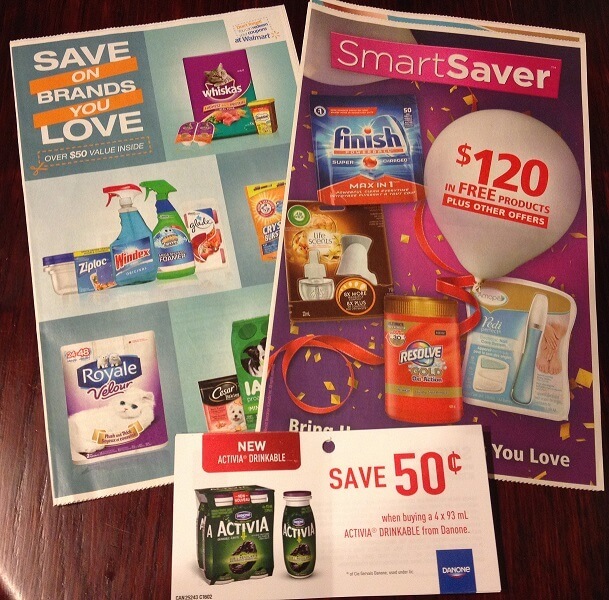 I don’t necessarily buy based on points or coupons, but use them to enhance my budget. (ie. If I don’t have enough in the cart to earn a bonus, I’ll buy the stockpile items to get them. Even those items are generally on sale or price matched.) If the points and bonuses are on items I buy, and I can find a sale, I generally work them in. I only use about a third of the items they offer points bonuses on. My post gets long and detailed, and I include everything! Warts and all. Knowing that I’ve come so far from where I was 2 years ago and keep striving to get things lower without a mutiny on the home front. The gimmick the stores use to get consumers to spend more money is to offer special bonuses on the purchases if you spend a certain amount. PC Plus often offers you bonus points to spend more than you normally would, but it’s always close enough that it’s enticing for that purchase, but next thing you know that target gets put up and up each time. It gives them the sales and customers leave the store feeling like they got a deal. It can be that way with coupons. I don’t shop like that, and often I am in the minority. Many weeks I have an offer from PC Plus to spend $40 or $75 for extra points, but I leave the store buying just what I intended to buy. There has only been one time that I cashed in on that bonus and it was last month when our Valumart was closing. I had the point bonus loaded on my card, actually laughed when I loaded it, that it would be 10,000 bonus points for a purchase over $100, it was funny because this under normal circumstances would be a joke. I would have to look back to see the last time I spent $100 at the store, in one week, much less one purchase. However, the deals at Valumart were awesome that week and we couldn’t walk away. When I got to the cash, I had an idea how much we spent, but didn’t quite think we crossed that mark, but we did, and not by a lot. This was a one shot opportunity, but any other week, we let those points go by and still would have if our total came to $99. We benefit from the points we do get on the things we plan to buy, but don’t buy to get the points, it’s less expensive this way. We will also lose a few dollars on Snap too. I have never redeemed with them, frankly only redeemed once with Checkout 51. I buy what we buy and then check the apps. They won’t ever amount to much for us, PC Plus is always the big draw for us. We have switched to best prices too, even if it’s generic No Name brand. However, we do have our few things we prefer to keep to a specific brand as well. Good luck with the No Name savings. Agreed with the points bonuses. If I don’t need it or use it, I don’t buy. I let them slide because they usually amount to only 10 cents on the dollar….so it’s not a big incentive to buy more to save a little. Do you shop at the bulk stores? I went to Bulk Barn but I have to be pretty sharp to catch when I save and when I don’t! I don’t shop at the bulk stores anymore. I knew someone who worked at one, and the harsh chemicals they had to use to clean the tops of the bins put me off, big time. I didn’t like the idea of heavy chemicals near the food, particularly in spray form. Also, for us, it’s tough with allergies. A friend of my son has peanut allergies, so I do my best to have things that don’t have cross contamination risk with them. Yes, we have nut products in our house, but the risk is reduced when we are using other products that come out of packages and our nut free pans and things. Just isn’t worth a cent or two of savings. I was going to use my PC Points attached to my Mastercard but when I went to pay the points system wasn’t working so I couldn’t redeem them. Maybe next week! I will be doing a lot of baking/cooking this week to help keep the budget in check for the month. Some things I will be making are chickpea truffles, waffles, molasses cookies, clam chowder, vegetable soup, vegetable lentil loaf, banana bread, black bean brownies. Weekly Overview : The only great deal this week were the eggs. Other than that I included some “splurges”, Pork ribs were on special and I could not resist the marked down cheese cake, LOL! So we had : Vegetarian Tomato sauce with pasta with Garlic bread and salad, Perogies with fried onions and sour cream with Fruit salad, Roast Chicken with frozen potato wedges and ceasar salad, Mushroom frittata with hashbrowns and fruit salad, Pizza and arugala salad and fruit salad, Chicken fried rice and fruit salad. And my daughter made chocolate chip cookies mmmmm. So For next week I have a choice of- New Orleans Red beans and rice, Sausage and potato stir fry, Home made Mac and cheese with vegetables, Creamy pasta with sour cream, Sausage cream gravy with biscuits, Oven baked salmon, Chicken stir fry and Edamame, spaghetti, Barbecue Ribs and mash potatoes, Nachos with guacamole and salad, Chicken and kale soup with fresh buns. Wow! Awesome price on eggs! I don’t think we could have stopped at 2 dozen. Eggs is one of our main sources of protein in our house, depending on the expiry, I could have bought six! We’ve been lucky to get ours for $2.49 a dozen which is the cheapest near us and some weeks we will buy 2 at that price depending on how much baking I plan to do. Great find! I know what happens when we shop more than once a week… we regret it. The deals are nice but the budget isn’t happy. RCSS: Eggs 2.49 (PM), NN Orange Juice 1.67, Milk 4.27, PC Frozen blueberries 2 x 2.97 (PM), romaine hearts 1.97 (PM), bananas 1.20, English cucumbers 3 x .77 (PM), Kiwi 2 lb 1.97 (PM), Crest 4 Me toothpaste 2.79, less superbucks 1.04 and .86, less student discount 2.04, plus tax .33: Total Paid 21.00 rounded up 2 cents. We managed to stay within range of our target this week and gained more ground on our overspend from January. We now only have to make up just over 110.00. Considering how much we were over, I never expected to be at this point and only part way through February. Huge progress. I mean, we’ve actually only spent 43.00 this whole month. Never, ever, have we spent that little. Proud moment, but I am not going to push it too far, our goal is still the end of March to make up for the over spend. Sticker shock again today. Milk went up! When did that happen? Oh my, I’m so happy we got the milk at Valumart. But with all of the increases, this one caught me off guard. 3.97 the last time we paid regular price, and today 4.27! Yikes. I paid it, this time, because I had made it to the grocery store on discount day, during a storm, and we were out of milk and eggs. Oh my. Time to do research again. I need to find out which stores have increased their prices, or if any are still 3.97. So disappointed. It was the milk that put us a bit over our target, but thankfully I found everything else I wanted at RCSS and PM’d a lot. The cheese was a decision made with thought again. Hubby wanted me to be frivolous and use the rebate Visa on something fun rather than groceries. But, with the deal this week on the cheese, I just couldn’t bring myself to do that. I calculated everything out so that it would be easy at the cash with no rounding. I’m thinking, we had no cheese, it’s a great deal on cheese, and it really meant we got just about 4 blocks for nothing. I’ve only been part of the Neilsen Homescan since last September. We were hesitant to believe that it would be worth the effort, but it is, so far. Hubby will just have to get over the fact that we used the card for cheese, lol. I have set aside a block of cheese for our upcoming hotel stay for my son’s hockey tournament. The timing of this blog is interesting to me since we are working to reduce our overall eating costs while at my son’s hockey tournament. We’ve often packed things to go for us, but they tend to be more family vacation type of excursions. This is our first away tournament that we will be staying somewhere overnight. So, we’ve already started thinking food, and adding in bits over the next few weeks with the grocery budget. This week it was cheese. Next week it will be something else. I have also started a travel container of food that we will take with us from the pantry shelves which already includes: mini rice cakes, beef stick, two boxes of crackers, tea, hot chocolate and a box of cookies. The rest will come over the next couple of weeks. I’m hoping to get some granola bars, some yogurt raisins, possibly instant oatmeal, instant soup and a bag of chips. That way we can get the best prices ahead of time and not just pay what the grocery store wants that day. We also are taking our plug in tea kettle, so that will be a huge help. I was surprised the scanner came almost right away. I’m guessing that there aren’t a lot of people in our area doing it. I’ve kept up with it, despite school, the only drawback is I can’t log in skate sharpening for my son. We do that relatively frequently, but no bar code, lol! Regarding the milk, I have looked at Food Basics since, and the increase is there as well, so I am trying to accept that this is another hit to the staples we have to take. Rats, but I will just adjust it on my weekly grocery list since it is one of the items we buy frequently. I like to have it all calculated out and itemized before I go to the store. It is a guideline of course, since I can’t always get the special I want, but I feel better being prepared. This week, there was no deviation to the list, it was exact. I love those weeks. For the tournament, we plan on making sandwiches or something simple for lunch in our cooler to the rink (could just be tuna and mayo – easy to make at the hotel), breakfast may just be instant oatmeal and fruit in the room, it does not include continental breakfast, so we are planning accordingly. We don’t eat a lot of cereal, but I am also considering those individual cereals. They aren’t healthy, but convenient and cheaper than eating out. Hotel room supposedly has a mini fridge, so we will have milk in there, if not we will be bringing our electric cooler and it should work with a few ice packs in it to keep everything just cold enough. Also the room is supposed to have a coffee maker, so we can make sure we get coffee, and I have a couple McDonalds freebies if there is one nearby and my Student Price card gets us B1G1 free McCafe beverages. I will bring some grounds too because they usually only have one packet there and that’s enough for about one coffee and both of us adults drink it. I refuse to rent a microwave which the hotel offers, that just seems like a cost we can avoid. There will be some team bonding, and we anticipate that to be dinner where the team will gather and socialize since both days we have a 3 p.m. game and by the time you play and leave the rink, it’s time for dinner. We have accounted for that as our dinner plans. So, the only meals we intend to eat out will be dinner (if it’s lunch, then we will have our lunch food for dinner, lol). I plan to test out a recipe I found on pinterest to make grilled cheese with an iron in tin foil. I will give it a try at home to see if it works, then we may do grilled cheese sandwiches one meal. Could really be an easy filling breakfast with some fruit and a boiled egg (which I will bring with us). We always have a bin of food when we go away for more than one day, it used to drive my hubby bonkers when we first met, but he’s just accepted it s the way we do things now. I try to take a small cooler so that we can take what we need places. I would much rather have a room with a kitchenette, but this wasn’t offered for this tournament at the reduced rate that we got with our team taking a block of rooms. I figure with intending to bring the kettle and all of the goodies, I need to be organized in advance, so I am hoping that I don’t have to work the night before we go. It saves us a bundle to be prepared. Besides, I know our son will want to spend a lot of time at the hotel, it has a wave pool, a waterslide and a couple of water sprayers. Since he loves the water, he is super excited. This helps on saving on entertainment costs. We will be entertained already there. And, I travel with a few games, so we can always play in the hotel room. Nothing with a lot of pieces, but card games (Yahtzee, Battleship, Scrabble – card versions of the bigger games), travel scrabble for hubby and I after our son goes to bed – he loves Scrabble but in the excitement he won’t want to spend the time on it, and usually a dice game (which may be Carcasonne dice game or bowling dice). The idea is that between the food and games, it all has to fit in the plug in cooler and one bin so that it’s achievable to eat the food or play the games. Anything more is just too much. This includes the container we will wash our dishes in, dish soap, cloth and drying towel. I have a lovely large tote that I plan to use as our bin this time. I would rather try something with shoulder straps than our Rubbermaid bin that we normally use. It is an experiment, but if it doesn’t fit, we will switch back to the bin. I have estimated our food to cost between $50-110 for three days total for three of us. If we eat with the team twice at a sit down restaurant, then it will be $100 (approx. $50 each meal). If we eat sit down once and fast food once, then it will be more like $70. If it’s just one sit down meal out then we should manage $50 unless it’s at Pizza Hut or something and we can do that for $30 and then just eat what we have at the hotel. The little extra we’ve looked at is for coffee if we can’t get enough with the hotel coffee maker (or we can’t get a filter the right size for the one in the room and the grounds can’t be used). I would love $30, but I’m ready for $110. In about two weeks, I will find out! I have read that many people who stay at bed and breakfasts and hotel/motels with free breakfasts don’t actually eat there.What a shame, since I always fill up on hot food if there is any and fruit. I take water bottles that I refill and carry baggies of nuts, trail mix or granola bars during the day. This way I don’t end up starving hungry while out sight seeing and can choose where to stop and eat sensibly. If staying at a hotel with only a coffee maker or kettle, I have herbal tea, cup of soup mixes or instant noodle bowls, small pull tab flavored tuna cans and instant oatmeal packs for an in room snack or meal. Just remember to pack a set of disposable cutlery strong enough to rewash if necessary. When staying at a hotel I found if I bought a nonalcoholic drink at happy hour and sat at the bar there was often a small buffet of snacks and interesting appetizers for free. This was often more convenient for a single traveler than to try to get a table for one for a meal. Take advantage when meals are included in your travel. When I got the sleeper car sale (50% off last August) for train travel across Canada my meals were included and very high quality with snacks, fruit and hot drinks available all day in the observation car/bar car. Cross contamination for existing allergens to some people are a big reason why some don’t eat the continental breakfasts. For example, our son is severely allergic to cantaloupe, and wears an epi pen for it. Most of those set ups have cantaloupe. This means he can eat things only out of a package and only when we wash the container off if it was near the cantaloupe because of cross contamination (by patrons or preparation). That makes the rest of the fruit off limits for him because it may have been prepared on the same cutting board which could cause him serious harm or death. He would be allowed yogurt from a container, milk that is still in the container, some muffins are in plastic wrappings, that sort of thing. Many people with nut allergies have it tougher than my son does. We eat from what we bring or from a restaurant that does not serve cantaloupe or have a discussion with the server or manager. It’s not worth the savings to risk someone’s life. That is why we don’t always participate in many continental breakfasts. We love it when we find one that doesn’t serve fresh fruit other than bananas and apples. These we love! We enjoy shopping at US grocery stores that offer prepared hot and cold dishes (i.e. Whole Foods)…it’s so much cheaper than restaurant dining. We also do take-out from favorite locations such as a local deli or bakery. This saves us having to pay tips and we can build our own sandwiches the way we like them. We buy water by the gallon at Walmart and fill our own stainless steel water bottles already filled with ice cubes from the hotel. The water stays cold for hours! I also sign up for the email sales at the local grocery stores so I get their flyers and coupons. Loyalty cards from the grocery and drug stores are common method for loading the sales – no printer required. Food festivals and farmer’s markets are another economical option for dining. For example the local Greek Festival in Palm Desert is the first week of December each year and they have farmer’s markets twice a week. I have 2 travel budgets…one is for actual travel expenses such as airfare, hotel and car rentals. The second is for day to day expenses such as food, gasoline, entrance fees and entertainment. Splitting the funds this way helps me to keep a much better eye on whether or not we are “on budget” for the trip. Keeping my spouse aprised of where we are in the budget helps because we work together to get the most bang we can for our buck. I have been known to say that we need to cut back on the dining out so that we can cover some sort of entertainment that we want to take in i.e. going to a concert. I 100% agree with you about splitting the budget into two and we would do the same if we were travelling. Some great tips you’ve shared here for the readers. I love the idea of loading the card rather than printing coupons. I actually despise printing coupons. I also like the idea of pre-made foods at the grocery store instead of going to a restaurant. Smart idea!! Do you do research before you go travel to know as much as you can about the destination and ways to save? What a great idea to split the budget. I always have an idea in my head of what we have to spend and where, and just track my receipts while gone. If I physically split the budget up to start off with, I wouldn’t have to spend time tallying the receipts, it would just be already done. Thanks for the tip Mary! I don’t know why it hadn’t occurred to me before. Couldn’t have come at a better time since we are off to a weekend away for hockey soon. I’m going to split it all up before we go! For amusement parks I have set aside the entrance fee before, but splitting it all seems better. And, less work for me while there! We also love the grocery store meals, we often get pizza there cheaper than the restaurants. We love our Price Chopper card for the U.S. when we shopped there in the past where we could load the offers to it rather than print off coupons. We haven’t shopped much in the U.S. since about a year ago with the rates to buy American money so high. We may have gone once maybe twice in the last year. When the dollar was better, we were there twice a month, the advantage of living on the border for us. Overview: This was to be a no shop week, except for the cheese but decided to go and check out the market and bought some things that we like but don’t get much of. We took a look around the Wholesale Club as it’s been many years since I’ve been there and there are things that we could pick up and it would last us at least 6 months to a year. Those items are definitely food for day dreaming in this house. Since I shop at RCSS, I definitely noticed price differences on some individual things but there are others, where I wouldn’t have a problem shopping there for. The notation of SJFM is St. Jacobs Farmer’s Market. The other name is the business at the market that I purchased the goods at. For the summer, the best day is Tuesdays (mid-June to August), check their website/FB page for details on exactly when that will be starting. We find that most of our regular customers will shift back a day once the Tuesday market opens as they don’t find it as busy. Once the summer months are in full swing, many people find that the market is very busy but there are many other things to see/do while in the area. There’s the old-fashion train, which leaves the market and goes to Elmira about 4 times per day, there’s St. Jacobs village to walk around, there’s an outlet mall across the street from the market. There’s even a wagon ride tour that leaves the market and takes you around the area to see the Mennonite farms and such. Now depending on the week, I probably won’t be there but that shouldn’t stop you from coming to check it out. Unlike what you have been told by other people on your FB page, we have producers and re-sellers. We need re-sellers to carry us over the winter months but we do have producers as well. Depending on the producer, they come from the region and right thru to Niagara Falls. I was going to make some cheese biscuits so if the cheese was on sale, it was to be purchased, but I didn’t make the cheese biscuits. I made garlic biscuits instead. Yes, the market can do much damage to your grocery budget because you see all the fresh produce or meat, especially in the summer months but like you say many times, you need to know your prices. I’ve even been telling my daughter that, especially when we went to the Wholesale Club (not far from the market). When I’m working at the market, I don’t really get a chance to peruse the market so I try and take advantage before I start or during my off season to walk around and get an idea of what’s available. Once I see what’s there, then I decide what I want and if I am willing to pay that price. I’m not very good at haggling so I tend to drop the hint that I’m a vendor and some produce vendors will drop the price or add more quantity to it because of that. This past weekend, I went to the market with the intention of purchasing some meat (ground beef, roasts, etc.) but I couldn’t stomach the prices as they were more than I was willing to spend on a per pound basis. The best part is other than the meat pies, the remaining food items was part of my meat budget, which is not part of my grocery budget. I love farmer markets too. Definitely a weakness of mine, because everything is so fresh… If you know your prices and buy seasonally there can be some pretty good deals. Your farmer’s market sounds lovely. I just received an email about Snap Groupon and the fact they are changing how they are doing their “savings”. I’m going to look more into the email and such tonight to actually see what it said. It doesn’t sound like they will give you actual cash any longer unless your were already over the $20.00 threshold. Ya I read all about that this morning. Let me know what you find out too! That was my understanding. This week was all about re-stocking our meats and baking supplies. We hit some decent sales plus we used a rain check to re-stock. I am satisfied with what we got for the prices we paid. Hubby cut a whole pork loin down into 3 good-sized roasts for us…that will make lots of great meals at our house! We are watching for some more rain checks again this week if we can find the item “out of stock”. Eggs at Safeway are on the radar for this week. Stay tuned to see if we succeed. I scored a FB coupon for Thrifty Foods for $5 that’s good until Feb 29th . I don’t NEED anything this week so I am saving my coupon for now. I just love your deals and organization!! Do you have a link to your Crockpot Hash brown Casserole. I love collecting tried and true crock pot recipes.